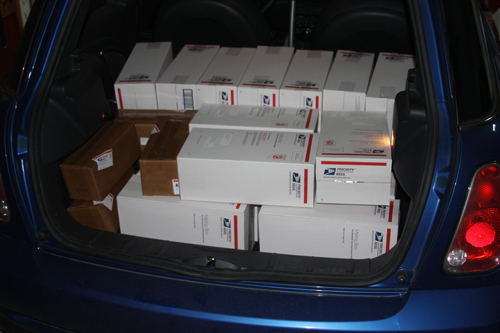 December's Java Passport shipments are loaded up to go to the post office. It's amazing how much a Mini Cooper is capable of holding. I've even hauled sacks of green coffee in that little thing.